UV and skylight filters are bought by photographers who want to protect their lenses against knocks and scratches; the glass filter forms a barrier between the outside weather and the precious front element of the lens. 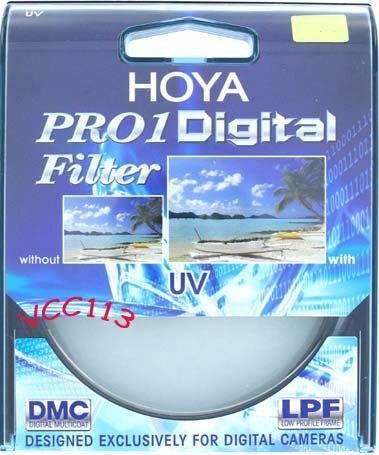 Using a UV filter will add a warming colour tint to your pictures (which is why many use them) but the less expensive UV filters can also slightly decrease the image quality, reduce colour contrast and increase lens flare, so by using a high quality, multi coated filter you should find no noticable adverse effects. There are some who use the UV filter for what it was originally made for; and that is for blocking out ultra violet light, although we can’t see ultra violet light, it normally manifests itself as a bluish cast on some of our images when taken on a hazy sunny day, with film cameras this would have a noticable effect, but, as the sensors of digital cameras today are not nearly as sensitive to UV light as film, the effect is minimal. Skylight filters also help to reduce UV, but they also have a magenta tint which helps eliminate the bluish hue in shadows, so if you’re shooting in shadow where areas are lit by the sun, then those areas of sunlight will also get that warming magenta tint, even though they don’t need it,and even though these colour variances can be easily rectified by imaging software, it’s for that reason skylight filters would not be suitable for a permanant lens protector. Of course there is the argument that by adding a skylight or UV filter will help with the resail value of your lens by keeping it in mint condition. If the only reason for buying a UV filter or skylight filter for your lens is to protect it, then why not consider a clear protecting filter?